Korean native pigs have black glossy hairs, caved face, a greatly protruded mouth, big eyes, and straightly upright ears. They also have round shoulder, narrow rear, wide chest, long hips, well-balanced short legs and 10-12 teats. 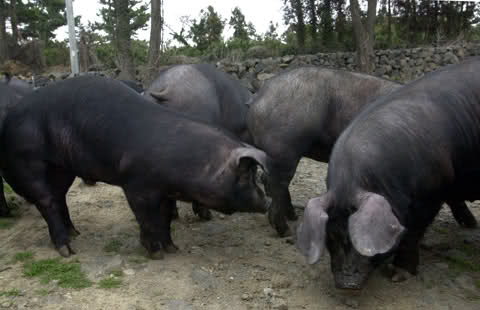 They are known for propagating power, superior meat quality and strong adaptability.